Poly piping is still a problem in the Ahwatukee area causing many home owners to need repiping done. Polybutylene pipe, though illegal in the United States for two decades is still an issue in the Phoenix area, especially in the gorgeous area of the Ahwatukee Foothills. With the real estate market booming in Phoenix more homes are coming under scrutiny from home inspectors, and with good cause. 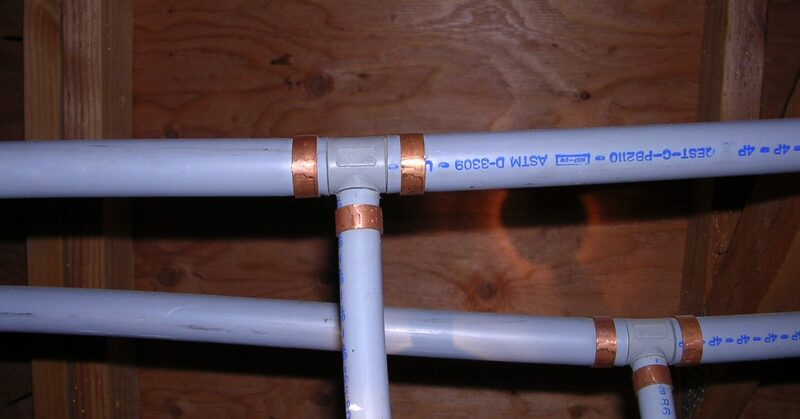 Polybutylene piping is a ticking time bomb. Polybutylene is a polyolefin or saturated polymer with the chemical formula (C4H8)n. This pipe was used for domestic water lines in Arizona from 1978 to 1995. The polybutylene (poly) pipe was projected and promoted as the pipe of the future because of its low cost and ease of installation. During the years it was produced, it replaced traditional copper piping for both exterior and interior plumbing use. In 1995 polybutylene manufacturers were part of a class action lawsuit that became a settlement of $1,000,000,000.00 to cover damages caused by poly pipe leaking in homes and causing flood damage to properties all across the country. This settlement has since passed its expiration date, but poly pipe is still prominent in parts of Maricopa County including Ahwatukee and NW Peoria. 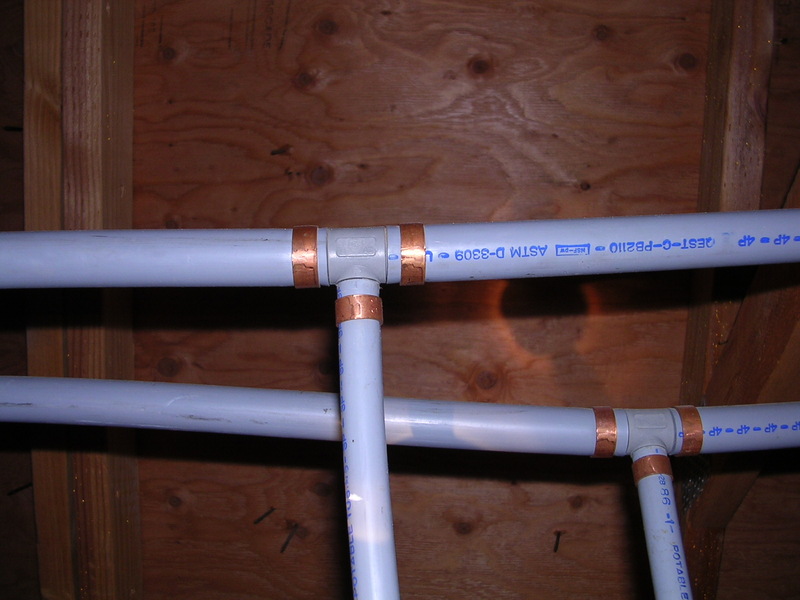 Many current homeowners are unaware that they have poly piping or are continuing to patch leaks on a regular basis. While poly piping is no longer an approved pipe in the United States building code, poly piping is still approved in several other countries including Europe, Asia, Germany and Austria. It is believed that the leaks on Polybutylene piping in the United States were primarily associated with degradation of polybutylene exposed to chlorinated water. There is evidence to suggest that the presence of chlorine and chloramine compounds in city water causes deterioration of the internal chemical structure of polybutylene piping and the associated acetal fittings. Leaks typically occur at stress points in the pipe such as fittings, sharp bends, and kinks. Whitening of the material is signs of the decomposition of the polymer and is often a sign of a weak point in the pipe, and is a leak waiting to happen. These pressure points may hold for years but with the chemical breakdown caused by chlorinated city water, a leak is inevitable and should be addressed before the occurrence of property damage. Because the chemical reaction of the water with the pipe occurs inside the pipe, it is often difficult to assess the extent of deterioration. The problem can cause both slow leaks and pipe bursting without any previous warning or indication. The only long-term solution is to completely replace the polybutylene plumbing throughout the entire building. With hundreds of repipes under our belt, you can be assured that the qualified and professional team at Robins Plumbing will replace your polybutylene piping with a quality alternative that will last a lifetime. Whether you’re looking for a plastic alternative that is tried and tested for the water quality of the Phoenix area or you want to stick with copper, Robins Plumbing can advise you on your options and provide you a competitive and affordable bid that could ultimately save you from thousands of dollars in property damage.